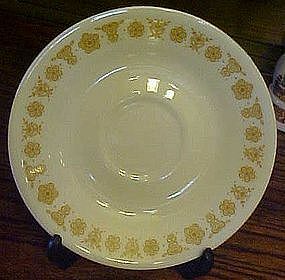 Nice saucers in the Corelle Butterfly gold pattern. Goes nicely withthe Pyrex with same pattern. 6 1/4" saucer's if you nedd replacements. I have 18 and all are in excellent condition. Price is per saucer.